The first phase of the world’s largest concentrated solar power (CSP) plant has been launched in Morocco. When fully operational, the three-plant Noor-Ouarzazate CSP complex will have a capacity of more than 500MW. That’s enough electricity to power 1.1 million households. The International Energy Agency estimates up to 11% of the world’s power generation could come from CSP plants by 2050, especially in the Middle East and North Africa, according to the World Bank. It provided a $519 million (£324m) loan to support the solar project in 2014. 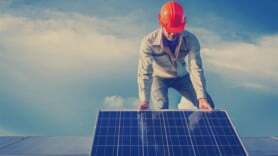 Marie Francoise Marie-Nelly, World Bank Country Director for the Maghreb said: “With this bold step toward a clean energy future, Morocco is pioneering a greener development and developing a cutting edge solar technology.